Disclosure: I was sent the following wreath from Balsam Hill/PR company for review. All opinions are 100% my own! Tis the season for full on decorating especially when you have a daughter who asks everyday if the following day is Christmas, hence her birthday which in turn means opening presents. She sees all the homes decorated with lights and sculptures and has been asking for decor at our home. Balsam Hill is widely known for their realistic Christmas trees but also has an amazing selection of wreaths. 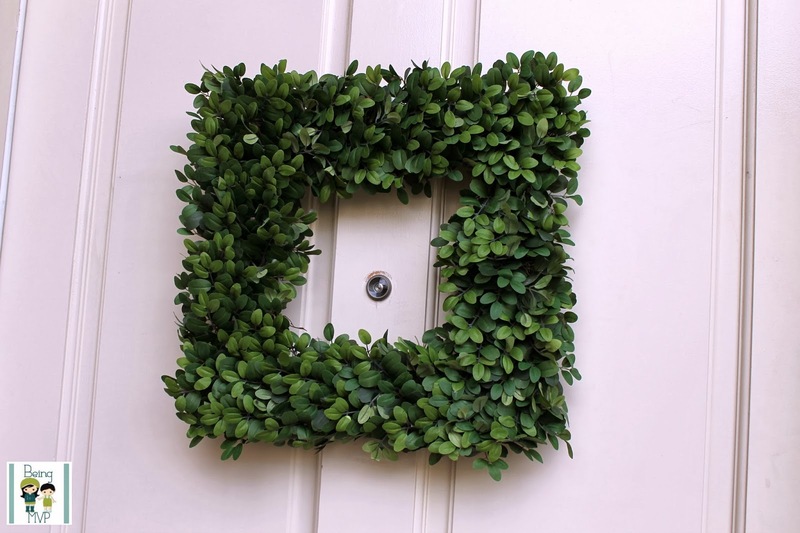 The English Boxwood Christmas Wreath ($59) is based on the shrub that is commonly found in the Southeast - at my mama's house! It is realistic and the square design has grown on me. It comes out of the box ready to hang and if a stem falls out, just wedge back in! I think that it makes our door look fresh and modern. I can hang this wreath year round and just switch out for special holidays (if Kenzie finds something she really likes). There are also traditional wreaths available that are perfect for gifting as well as for your own home. They have an amazing sale going on so check it out for all your holiday decorating needs! Make sure to connect with Balsam Hill on Facebook and Twitter! 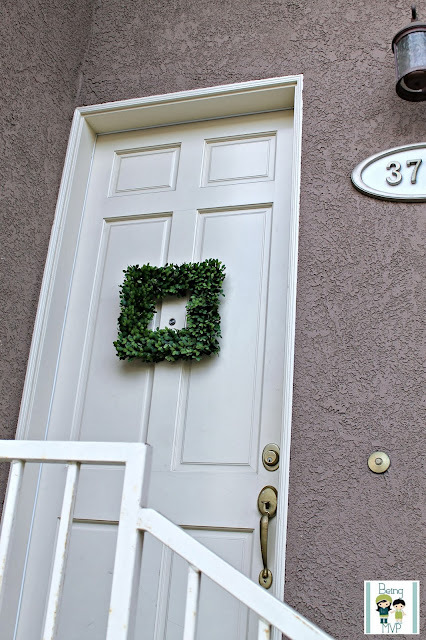 Not sure if I like the square design of this wreath but I took a look around at their website and they have some beautiful traditional holiday wreaths. I love this design of wreath! It really does look very natural. i love the square design too! also like that it is very natural looking! it is different and unique and like you said can be used year round too if we like! LOVE THAT! I love the square design! I love unique things and I really like their products!